I guess you know it’s election time when the Republicans decide it’s time to troll for votes among their lovely base by kicking the poor. As a direct counter to President Obama’s recent emphasis on the gap between rich and poor, the upcoming House Republican budget will focus on welfare reform and recommend a sweeping overhaul of social programs, including Head Start and Medicaid. The push, led by Rep. Paul Ryan, returns the GOP’s attention to a policy front that animated the party in the 1990s and signals Republicans’ desire to expand their pitch to voters ahead of this year’s midterm elections. This new effort comes after the party spent months fixated on combating the federal health-care law and engaged in intraparty squabbles over fiscal strategy. On Monday, Ryan (R-Wis.), the House Budget Committee chairman, published an often stinging 204-page critique of the federal government’s anti-poverty policies, questioning the efficacy of dozens of initiatives and underscoring where Republicans say consolidation or spending reductions are needed. 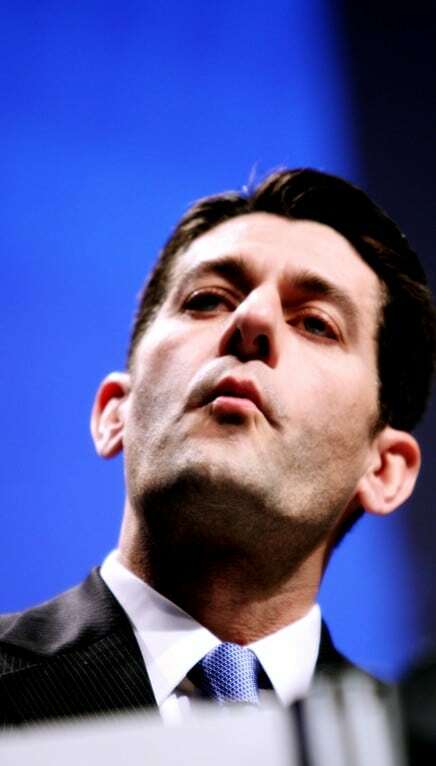 Ryan said the report is a ­prelude to the House GOP’s budget, which will be unveiled later this month, and a preemptive rebuttal to the president’s budget, which will be released Tuesday. The report, titled “The War on Poverty: 50 Years Later,” features analysis of eight areas of federal policy: cash aid, education and job training, energy, food aid, health care, housing, social services, and veterans affairs. Most sections begin with a glance at the state of federal anti-poverty ­programs 50 years ago, when President Lyndon B. Johnson launched a “war on poverty,” and chart their evolution and expansion. Food stamps, low-income hous­ing, and a flurry of other social service programs and tax credits are also targeted in the report. Ryan said Republicans will soon offer specific prescriptions to the problems he outlines. Putting a comprehensive anti-poverty agenda alongside efforts to devise an alternative to the federal health-care law is a GOP priority, he said. “Poverty reforms”. You’ve got to love that. We’re here to help you citizens, by forcing you into a life of crime and prostitution! After all, we still have massive unemployment! Or, as Paul Ryan and his favorite philosopher calls them (and most of us): parasites. RYAN: You know, it doesn’t surprise me that sales of The Fountainhead and Atlas Shrugged have surged lately with the Obama administration coming in, because it’s that kind of thinking, that kind of writing, that is sorely needed right now. And I think a lot of people would observe that we are living right in an Ayn Rand novel, metaphorically speaking. But more to the point is this: The issue that is under assault, the attack on democratic capitalism, on individualism and freedom in America, is an attack on the moral foundation of America. And Ayn Rand, more than anyone else, did a fantastic job of explaining the morality of capitalism, the morality of individualism, and this to me is what matters most. It is not enough to say that President Obama’s taxes are too big, the health-care plan doesn’t work for this or that policy reason, it is the morality of what is occurring right now and how it offends the morality of individuals working toward their own free will, to produce, to achieve, to succeed, that is under attack. And it is that what I think Ayn Rand would be commenting on, and we need that kind of comment more and more than ever.